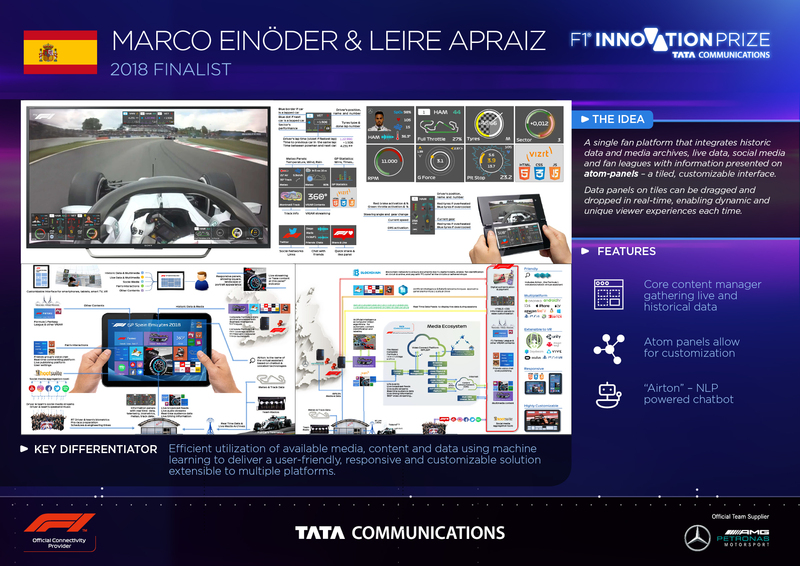 Taking part in the 2018 Tata Communications F1® Innovation Prize are the duo Marco Einöder and Leire Apraiz, who have made it as finalists to win the $50,000 prize and the chance to have their idea turned into a prototype. “We always work as a team. 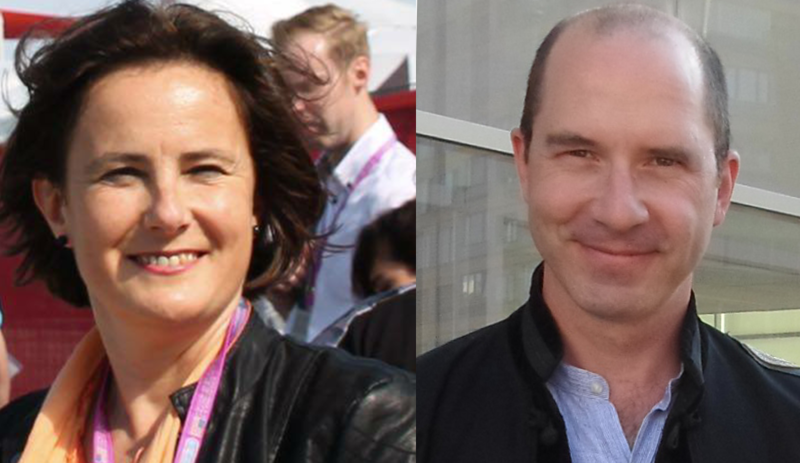 We both have very different but complementary profiles and are specialists in applied technology in different areas. Sharing our interests and sometimes radically different points of view allows us to bring to life very innovative solutions like the one we submitted,” they explain. As you can see with their solution , Marco and Leire’s submission hopes to be a one-stop shop for all F1® fans. From Spain, the husband-wife team of Marco and Leire almost fell in love with the sport by accident ten years ago, thanks to their then four-year-old son. “We have always been curious about F1®, but the turning point for us was 10 years ago when our son, Diego, started to ask us to watch F1® races on TV,” explains Marco and Leire. “He then boosted our interests not only for the drivers, but also the tracks and technical themes. Having a passion for something that the whole family can be involved in undoubtedly helped when coming up with ideas for their entry to the F1® Innovation Prize. What inspired Marco and Leire’s entry? Inspiration can strike at any time, sometimes quickly, and sometimes it can build slowly. “Our entry to the F1® Innovation Prize is something that has been in our heads for several years. Due to our work, we have to be vigilant to consumer’s new habits and how they use all kind of technology to access information through different channels, especially the digital ones,” explain Marco and Leire. “We used this as basis, but we also gathered the conversations with our children, relatives and friends during F1® GP’s broadcasts this last year. Every one of them, with their different ages and interests, had different approaches about how they wanted to experience F1®. For the future, Marco and Leire see that customization and simplicity, the basis of their entry, will be what people want. “Nowadays, fans are getting more and more demanding and want to customize their F1® experience, because they know that technology allows it,” says Marco and Leire. With $50,000 and the prototyping of their idea at stake, Marco and Leire are excited about the prospect of winning the F1® Innovation Prize. Hear from last year’s Tata Communications F1® Innovation Prize winners, Ben Lambert and Alex Gibson as they share their journey from winning the grand prize.